Roots are deep, matted and fibrous. They have been found growing 1.7 m below the soil surface. 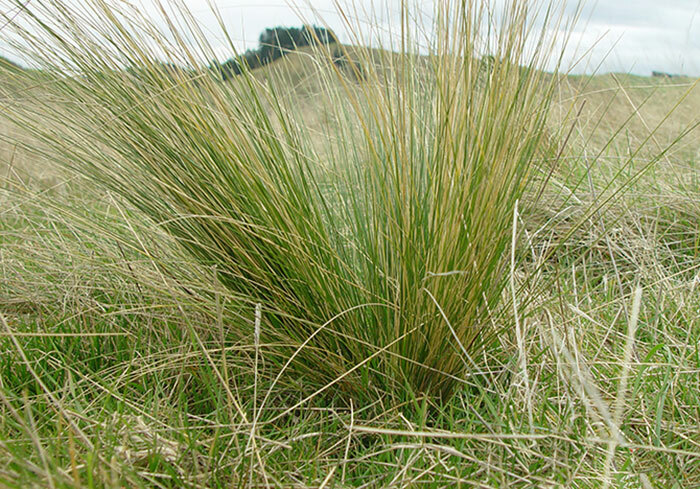 Currently tussock numbers are stable in North Canterbury. This suggests that grubbing is stopping numbers from increasing, but some plants are missed and these produce enough seed and hence seedlings to maintain tussock numbers. Seeds can survive passage through sheep. Nassella tussock seeds can contaminate and damage fleeces and hides of sheep, adding to production losses. Control is very difficult on land that is infertile, cannot be cultivated, and is in a low rainfall area. Cattle and sheep cannot digest the leaves and they avoid mature plants. 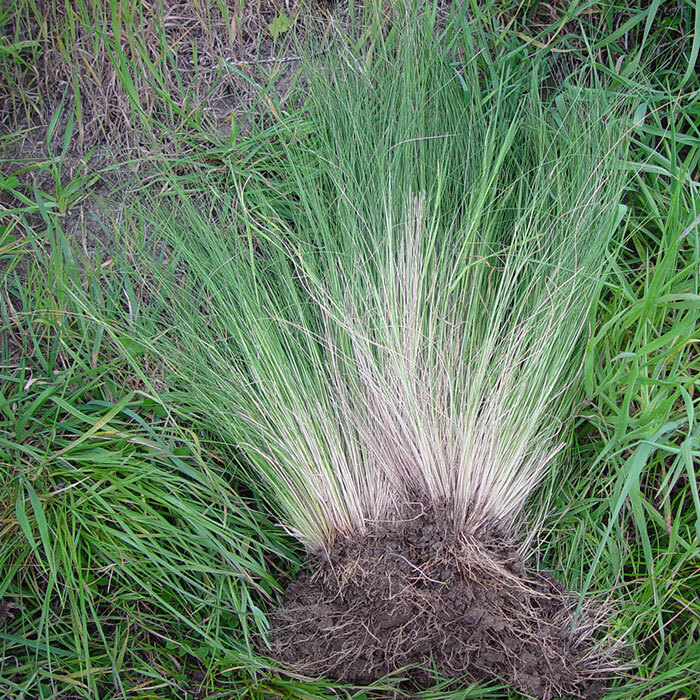 This causes overgrazing of desirable species and leads to further spread of nassella tussock. Sowing perennial pastures can help to control nassella tussock, as long as the pasture is grazed and fertilised to favour the perennial species and maintain high levels of ground cover. Note: Ryegrass does not compete well with nassella tussock. Note that appropriate fertiliser application is very important in helping the sown pasture species to outcompete tussock seedlings. Spot spraying from a boom spray or by aerial application is the most effective method to reduce dense growth of the tussock. Grubbing is the most effective method of eradicating nassella tussock as long as plants are fully removed. 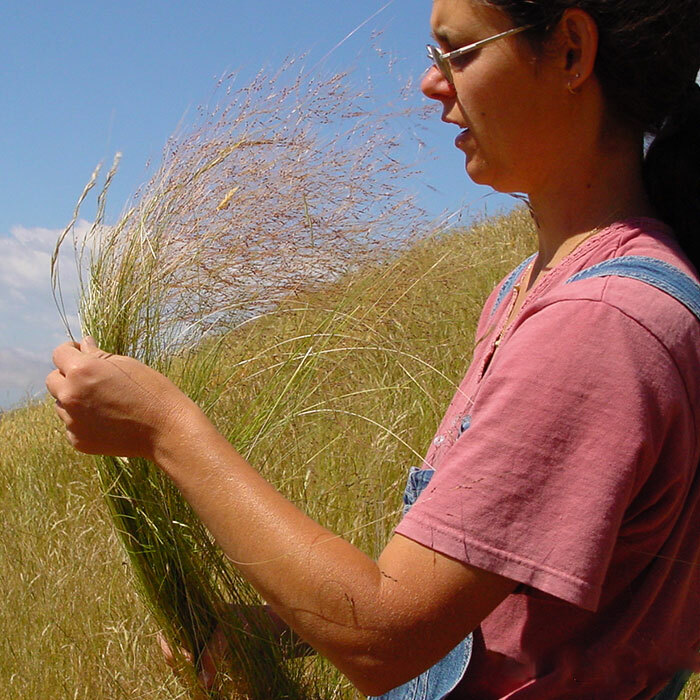 No biological control agents are available for controlling nassella tussock. Bourdôt GW, Hurrell GA, Saville DJ 1992. Eradication of nassella tussock (Nassella trichotoma), an unlikely outcome of grubbing. New Zealand Journal of Agricultural Research 35: 245-252. Campbell MH 1998. 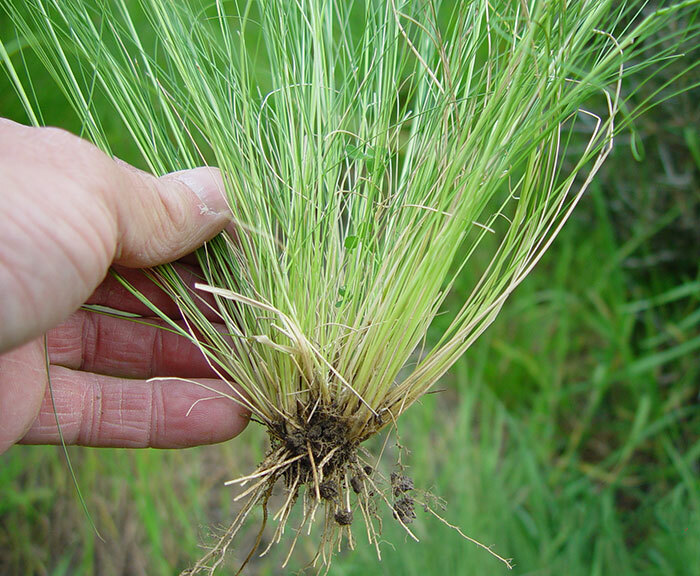 Biological and ecological impact of serrated tussock (Nassella trichotoma (Nees) Arech.) on pastures in Australia. Plant Protection Quarterly 13: 80-86. Campbell MH, Nicol HI 1999. 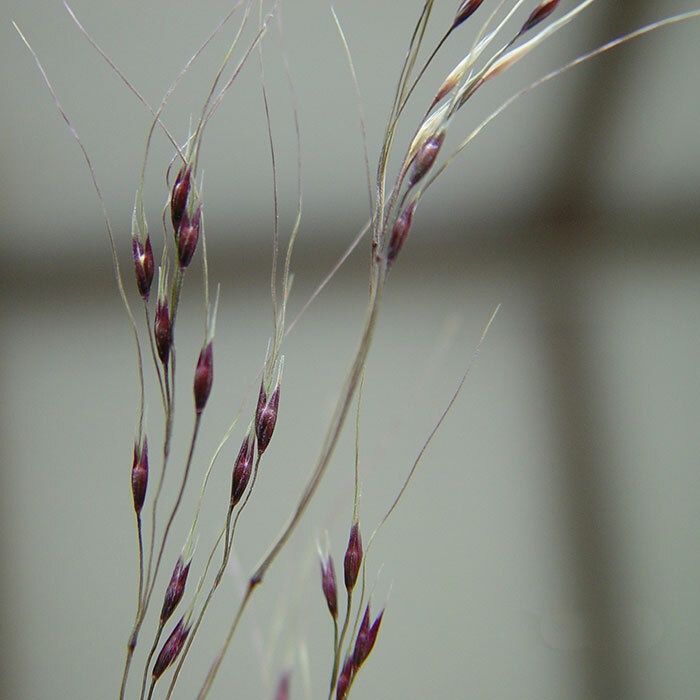 Seed dormancy in serrated tussock (Nassella trichotoma (Nees) Arech.) in New South Wales. Plant Protection Quarterly 14: 82-85. Campbell MH, Vere DT 1979. 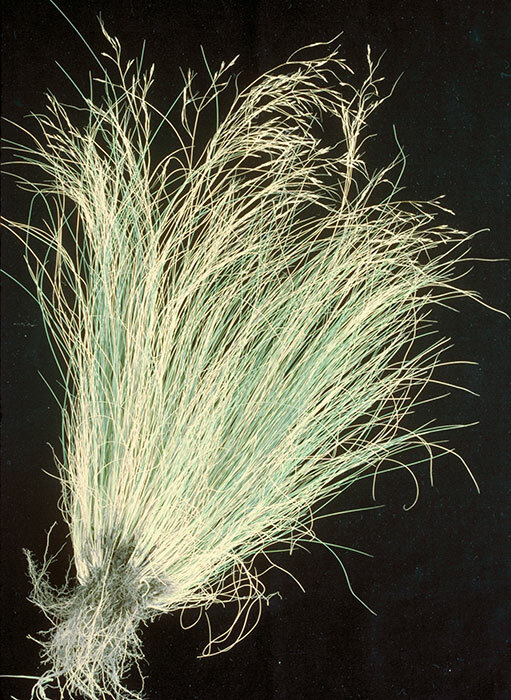 Area, distribution and cost of serrated tussock in New South Wales. Agricultural Gazette of New South Wales 90: 8-10. Cook C 1998. The transmission of serrated tussock (Nassella trichotoma) seeds through the sheep rumen and their viability after ingestion. Plant Protection Quarterly 13: 93. Environment Waikato 2014. Nassella tussock and ﬁne stemmed needle grass Nassella trichotoma and Nassella tenuissima. Biosecurity series – pest plant factsheet. (accessed 4 August 2014). Hocking C 1998. Land management of Nassella areas – implications for conservation. Plant Protection Quarterly 13: 86-91. Kriticos D, Lamoureaux S, Bourdôt G, Pettit W 2004. Nassella tussock: current and potential distributions in New Zealand. New Zealand Plant Protection 57: 81. (accessed 4 August 2014). Miller L 1998. 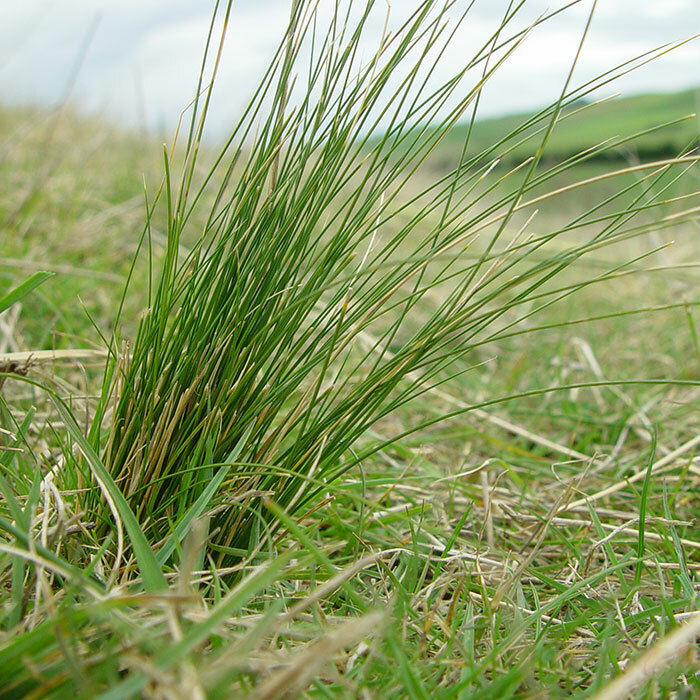 Management of serrated tussock in farming areas. Plant Protection Quarterly 13: 91-93. Vere D, Jones R, Dowling P, Kemp D 2002. Economic impact of Vulpia in temperate pasture systems in south-eastern Australia. Australian Journal of Experimental Agriculture 42: 465-472. Vere DT 1977. 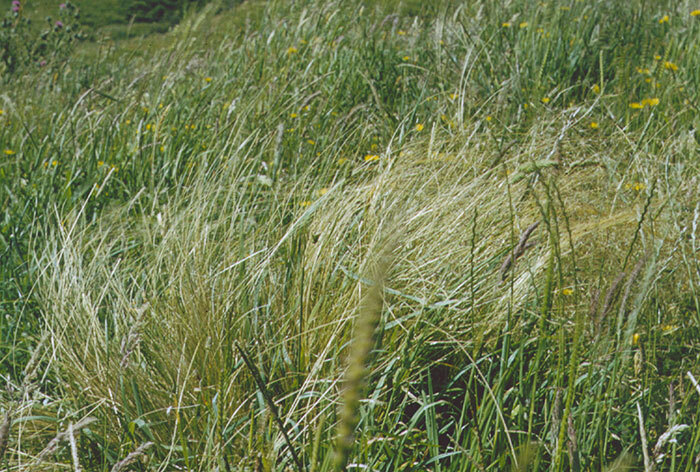 Superphosphate essential for control of serrated tussock and St. John’s wort. Agricultural Gazette of New South Wales 88: 13. Vere DT, Campbell MH 1984. Economics of controlling serrated tussock in the Southeastern Australian Rangelands. Journal of Range Management 37: 87-93.